Gulf prosperity is our prosperity”. 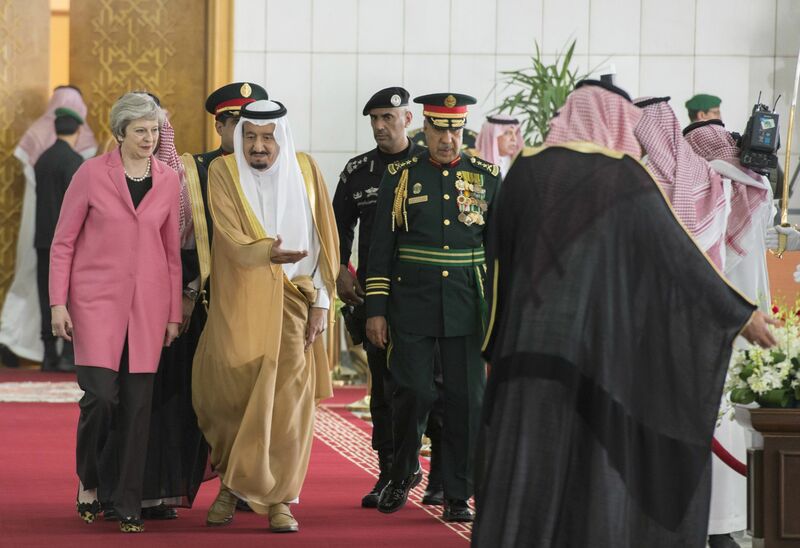 Britain and Saudi Arabia have been allies for over a century dating back to the First World War. The United Kingdom was one the first nations to both recognise the establishment of the Kingdom of Saudi Arabia and form diplomatic relations, and when Saudi Arabia opened its embassy in London in 1930 it was only their second official foreign affairs body overseas. Ibn Saud, the founder and first Monarch of Saudi Arabia was granted a knighthood in the Order of the Bath in 1935. On 7th March 2018, Britain’s relationship with one of our oldest friends in the Middle East will begin a new chapter with the visit of Crown Prince Mohammed bin Salman. Saudi Arabia is among the largest political, diplomatic and economic powers in the Middle East and with the 32 year old Crown Prince embarking on a major programme of domestic reforms, the visit will usher in a new era in our bilateral relations. 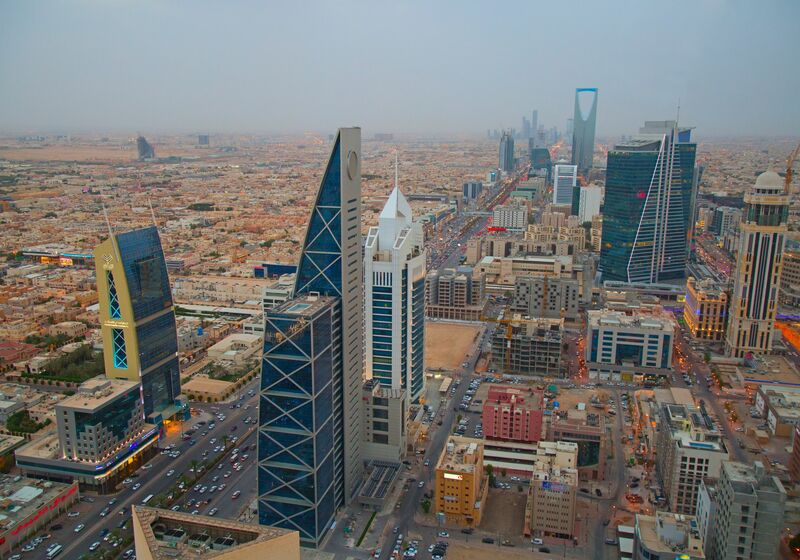 Saudi Arabia is the 13th largest country in the world, about the same size as Western Europe. 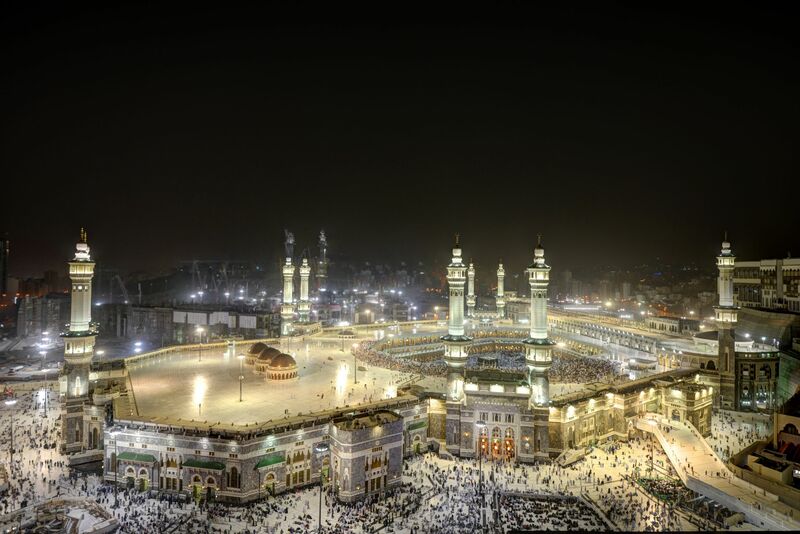 As the home to the holy cities of both Mecca and Medina, Saudi Arabia has unmatched convening power in the Arab and Muslim world. 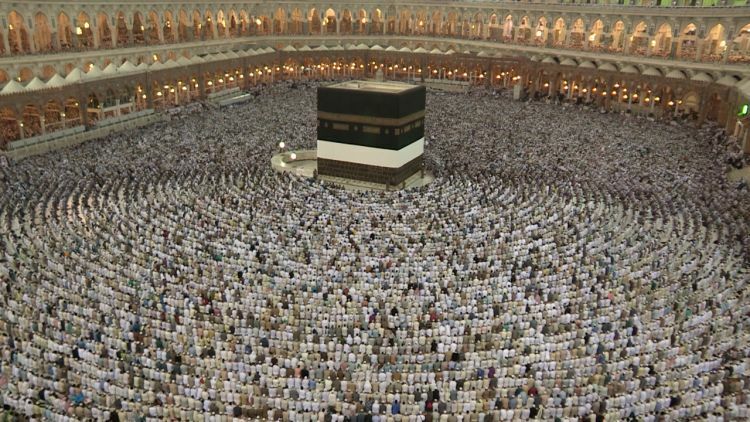 24,000 British nationals make the pilgrimage to Mecca each year for Hajj, the fifth and final pillar of Islam. Here they join 2 million Muslims of every ethnic group, colour, social status, and culture to stand before the Kaaba in “The Sacred Mosque” to praise Allah together. Over 100,000 Saudis visit the UK every year, with over 100,000 British people travelling to Saudi Arabia in return for religious festivals, business and to see family. In 2016, the UK was the most visited country in Western Europe from Gulf nations, with visits from Saudis expected to increase by 20% by 2020. At over £23 billion in 2016, UK exports to the Gulf are currently greater than those to China and India combined, with Saudi Arabia being the UK’s largest trading partner in the Middle East. Over the past five years, our bilateral trade relationship has increased by over £2.3billion and in 2016 trade in goods and services was worth almost £9 billion. 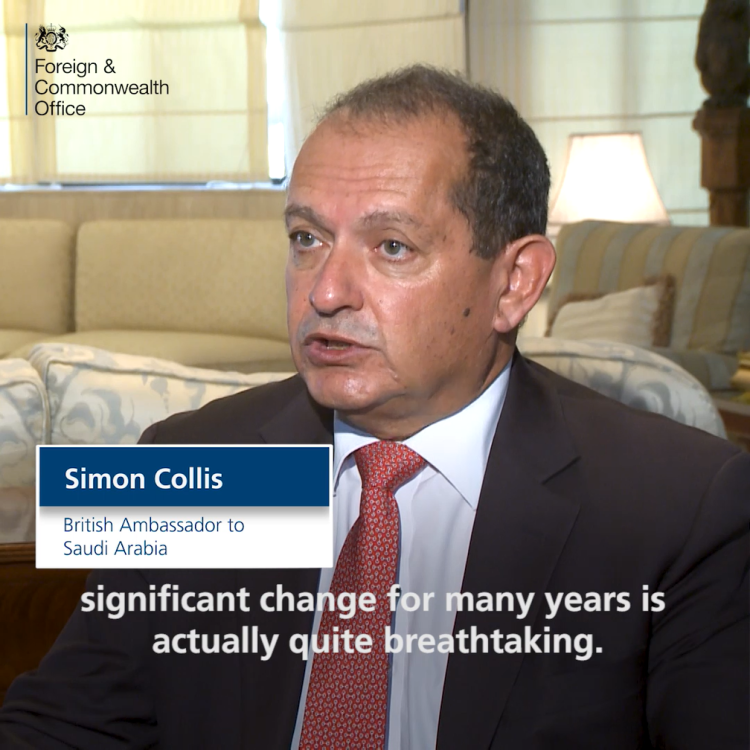 Indeed, since 2010 Saudi Arabia has been the third fastest growing market in the world for UK exports and the third fastest growing market for UK imports of goods. 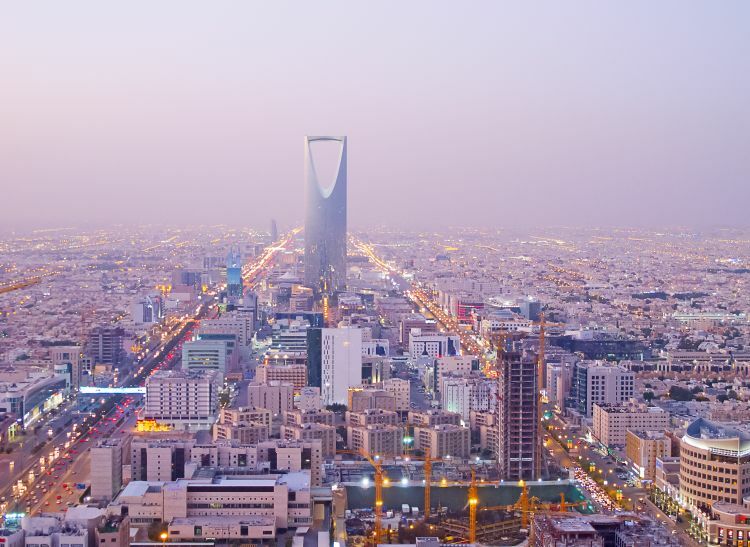 Saudi’s leaders are moving to develop sectors such as healthcare, education, energy, infrastructure and entertainment; industries in which the UK leads the world. 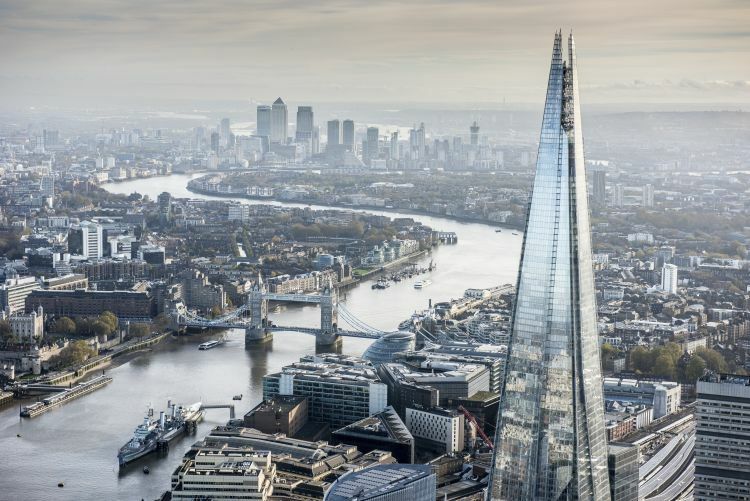 As they look to diversify the country&apos;s economy away from a traditional reliance on oil there are opportunities for British businesses to support both the delivery of their reform agenda and create and safeguard British jobs. As an example, it is estimated that the UK could generate exports of renewable energy goods and services to Saudi Arabia in excess of £300 million by 2023, and the British based entertainment company Vue International has already signed a partnership to open 30 multiplex cinemas in the kingdom. 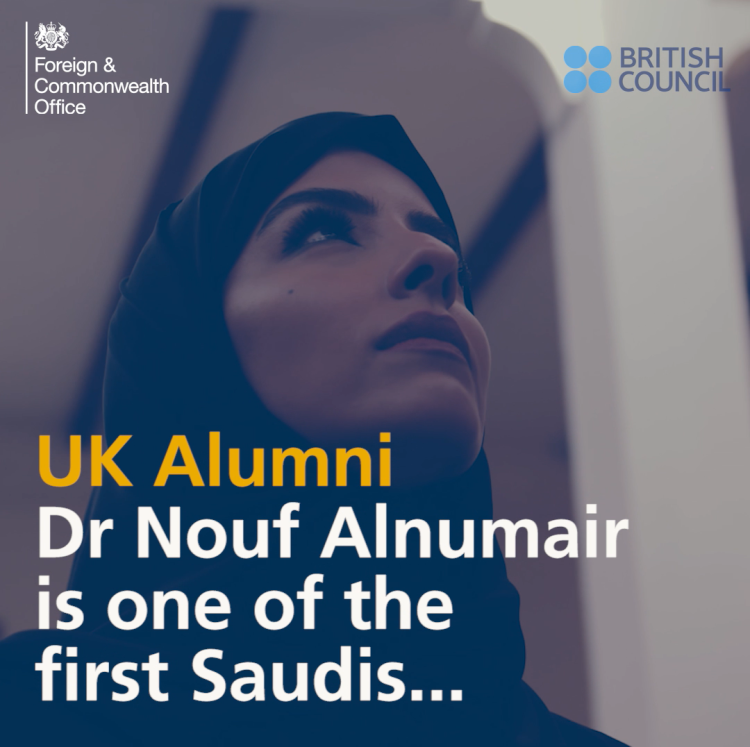 Additionally there are already 90 Saudi schools that deliver an international curriculum with British examinations, over 130,000 UK qualifications are delivered in Saudi Arabia every year and 15,000 Saudi students study in the UK at any one time. Under King Salman’s direction, the Crown Prince is pursuing societal and economic overhaul of the kingdom through their Vision 2030. This modernising agenda is introducing important reforms that Britain values including greater freedoms for women. 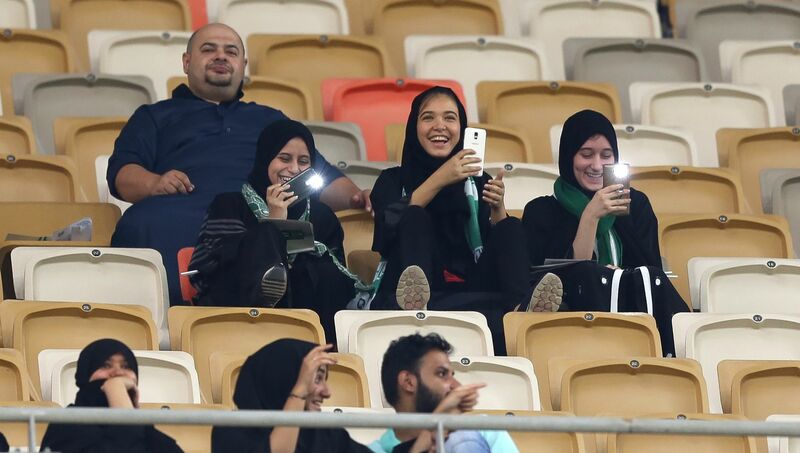 On Friday the 12 January 2018 the King Abdullah Sports City in Jeddah witnessed a historic day in the kingdom as women attended a Saudi Pro League football game for the first time. The moment followed the lifting of a lifelong ban on women attending sports stadiums. Progress will continue this month as Saudi cinemas see their doors open for the first time in over 30 years to everyone, and in June women will be able apply for their driving licence. Additionally, Saudi Arabia has pledged to raise women’s participation in the workforce to 30% by 2030 with segregation between men and women is reducing. As the pace gathers on these much welcomed societal changes, Britain will continue to support Saudi Arabia as it delivers its vision of an open and tolerant society. 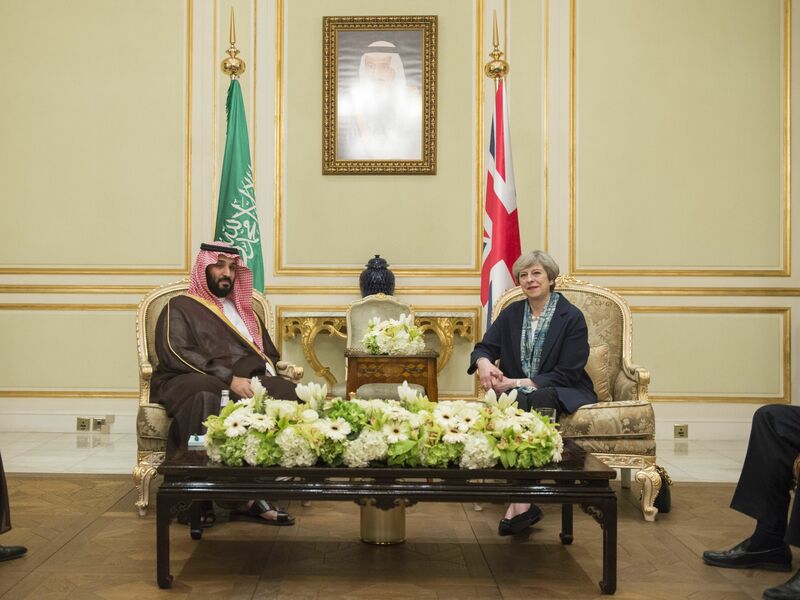 As a friend Britain is able to speak openly and frankly about our remaining concerns and we continue to encourage Saudi Arabia to make further progress including the upholding of universal human rights. Daesh were on the doorstep of Saudi Arabia and like the UK they have had their own painful experiences as the victims of terror. They are therefore a key ally of the UK in the fight against Daesh, speaking out against its poisonous ideology and are leading the Global Coalition’s efforts to cut off their revenue streams. Crown Prince Mohammed bin Salman has said his overarching goal was to build "a country of moderate Islam that is open to all religions and to the world". He also promised to “eradicate promoters of extremist thoughts”. Simply put, the intelligence-sharing between our two nations helps make both our countries safer and has been crucial in the struggle against terrorism to help save British lives. Terrorist plots have been thwarted because of the cooperation between our two countries. Saudi Arabia is a force for stability in a turbulent region. 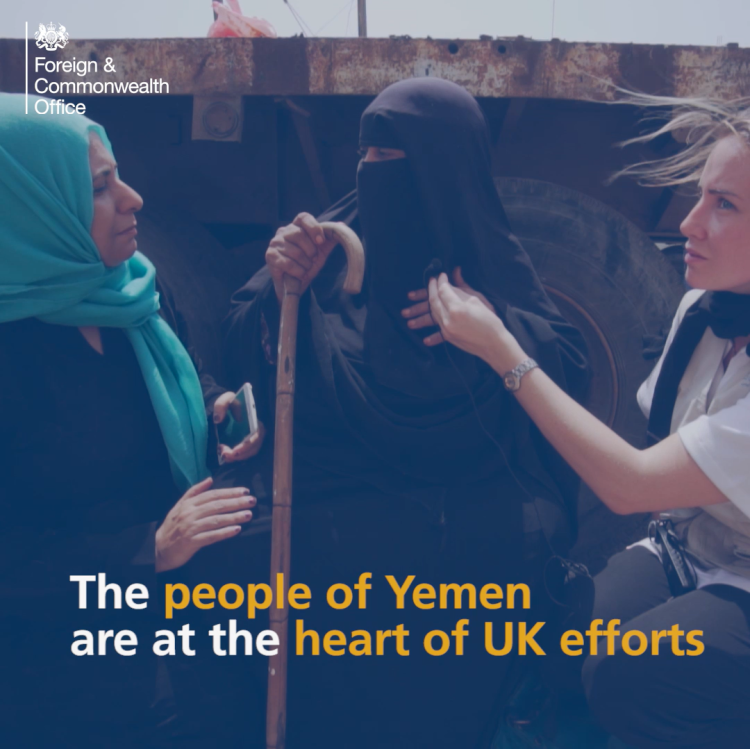 Today we’re working together to counter Iran’s disruptive behaviour in the Middle East and we’re determined to support all international efforts to find a peaceful solution to the crisis in Yemen and to address the terrible humanitarian suffering. Saudi Arabia have also provided significant support to the government of Iraq over the last year as the country looks to rebuild following Daesh occupation. In a fast changing world, enduring relationships built on trust and common interests matter. The Crown Prince&apos;s visit will be an opportunity for us to demonstrate our vision for Britain as an outward-looking country strengthening our relationships around the world and standing up for our values.